I love seafood. Good thing I am not allergic to it like some people or else, I'd be miserable. Oh alright, I'm exaggerating. 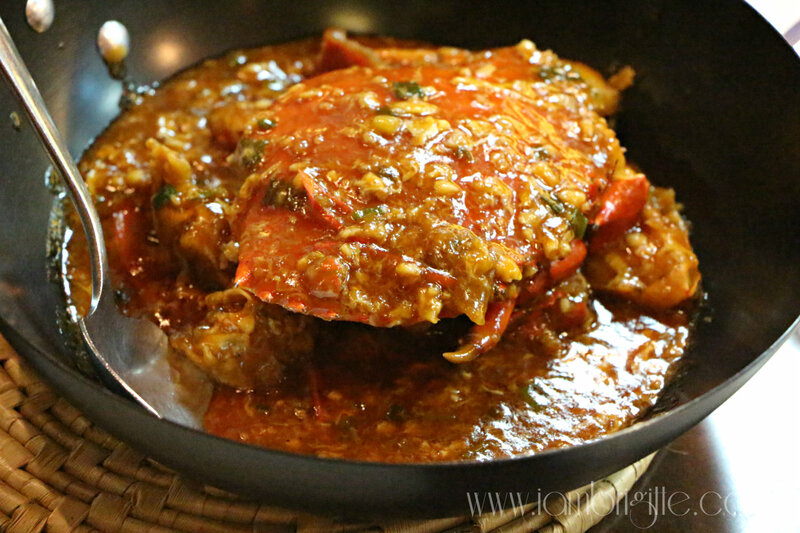 But really, I just can't imagine my life without my favourite sweet chilli or steamed crabs and shrimps! I know that some people don't really like seafood because it can be messy to eat them, but I don't mind at all. C'mon, what's not fun with eating with your hands? So when I got an invite to check out Chimes' Crab Festival, the seafood lover in me just couldn't say No. 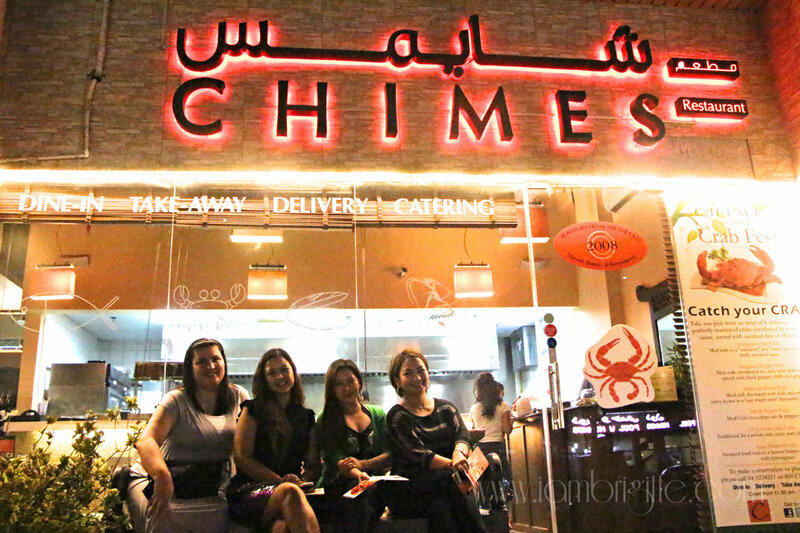 Chimes is a small restaurant located in Barsha (Dubai) which offers an extensive menu of specialties from Thailand, Singapore, Malaysia and Indonesia. 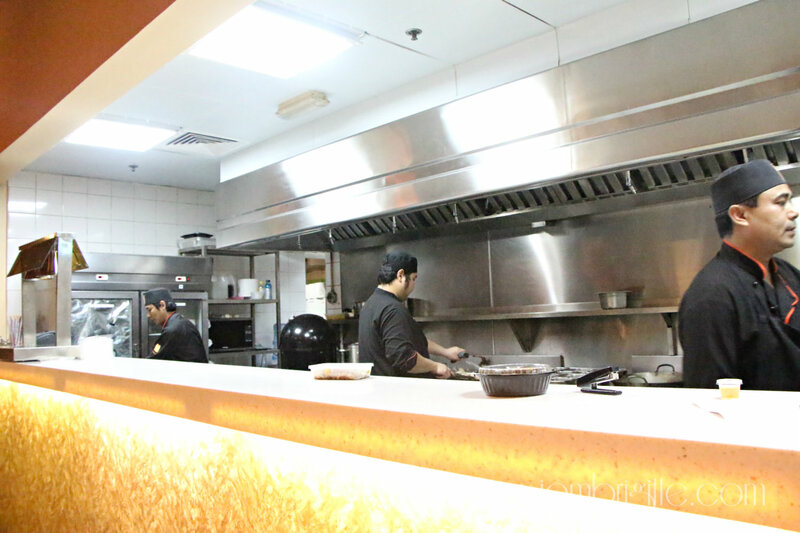 The interiors are simple and they have an open kitchen so you can see their chefs working on their magic while you wait for your food. 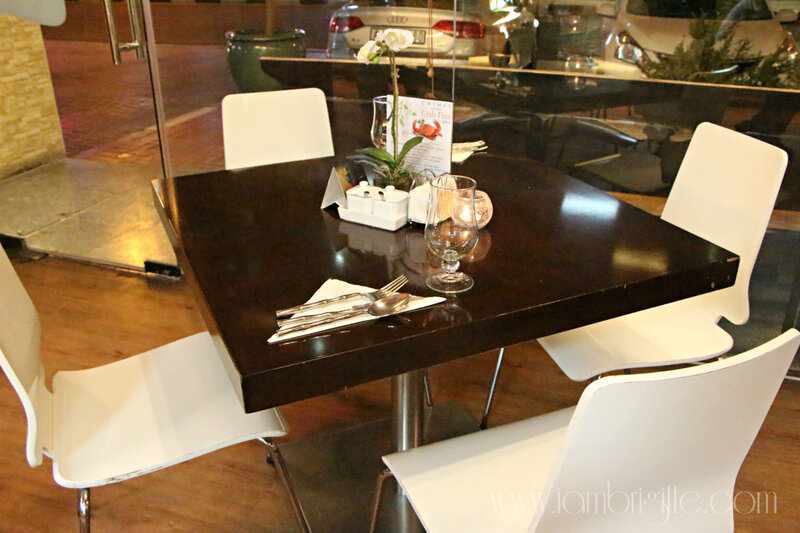 They only have 5-6 tables in the restaurant and I heard the place can be jam-packed during weekends so make sure to make a reservation first. 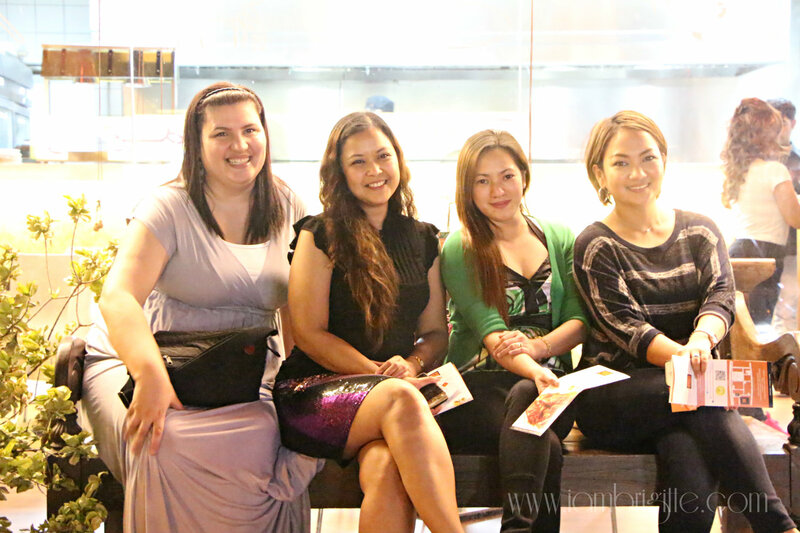 According to a kabayan server, the restaurant holds a promotion every month. 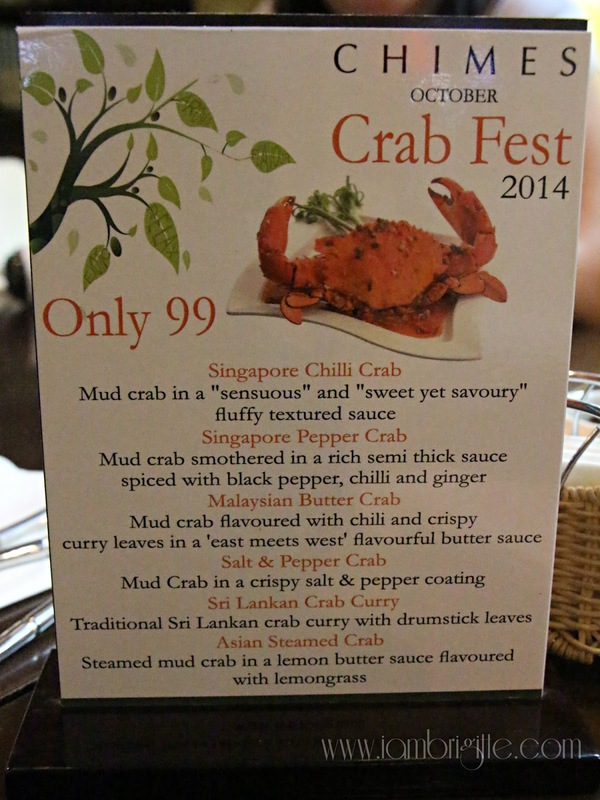 For October, they have the Crab Festival where you can feast over their sumptuous crab dishes for only AED99. This is cheaper than their price last year when they held the same promotion. This includes steam rice (not sure if it's unlimited rice though, hilig ko lang sa unli-rice hahaha!) or mantou bread. I wanted to try all (takaw lang) but me and the hubby decided to go for the Singapore Chilli Crab as per recommendation by a friend. Good thing Sheila and Carla were also there that night, and we made sure that we ordered different crab dishes so we'd be able to try most of them. 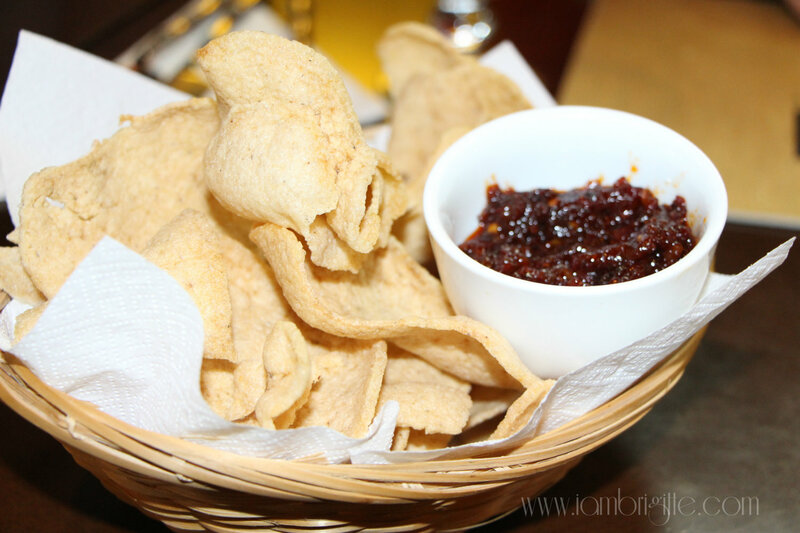 I usually have prawn crackers with spicy vinegar and 'twas my first time to try it with bagoong, which I thought to be weird at first. But nah, it was such a hit with everybody. Thanks Chimes for this great idea. Now all I need is a bag of prawn crackers as I already have bottles of bagoong at home. Hahaa! Whenever I dine at a Thai restaurant, I usually go for a Thai Iced Tea. 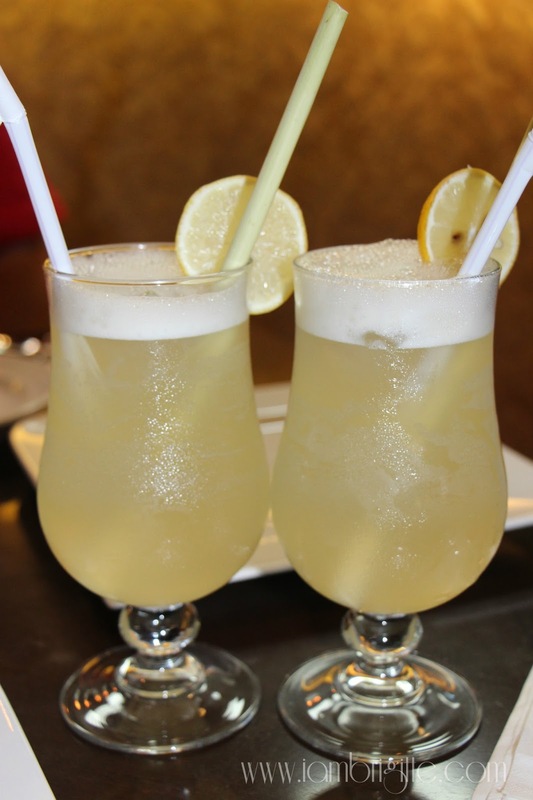 Unfortunately, they didn't have it in the menu so we went for this lemongrass drink. It was so good I almost finished it in one go! 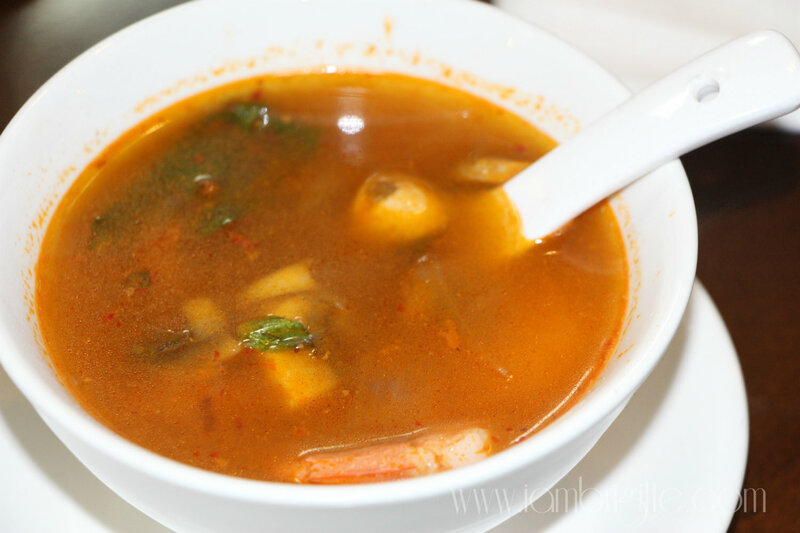 One thing that we try not to miss in a Thai restaurant is their Tom Yum soup. I'm glad we didn't try skipping it at Chimes. 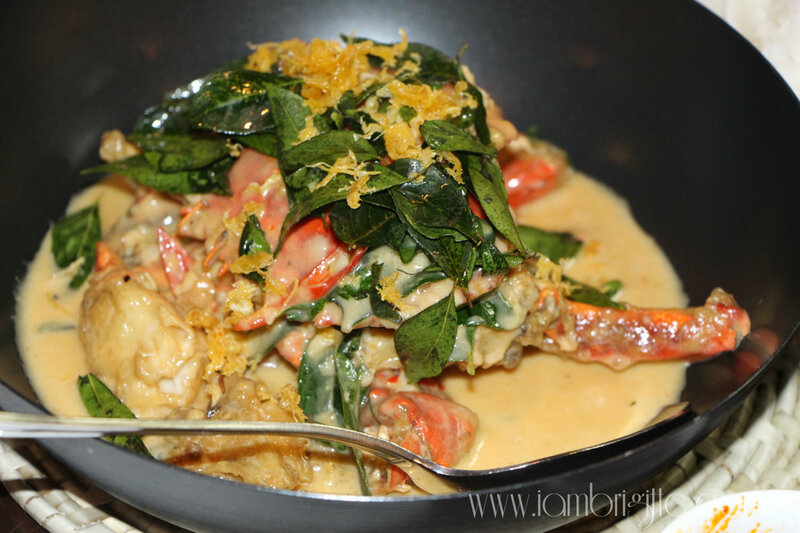 I love that it has a number of prawns in it and unlike other Tom Yum we've tried, theirs doesn't taste like instant! Unfortunately, I wasn't able to try this dish. According to Sheila, it was okay but she thinks it could've been better if she tried it with the peanut sauce that came with it. I wonder where she dipped this instead, hahaha! 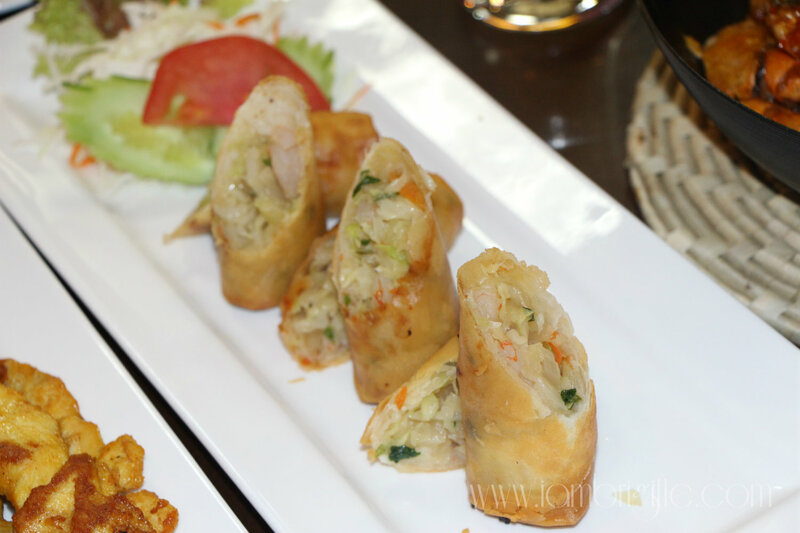 These spring rolls didn't get my thumb of approval, to be honest. 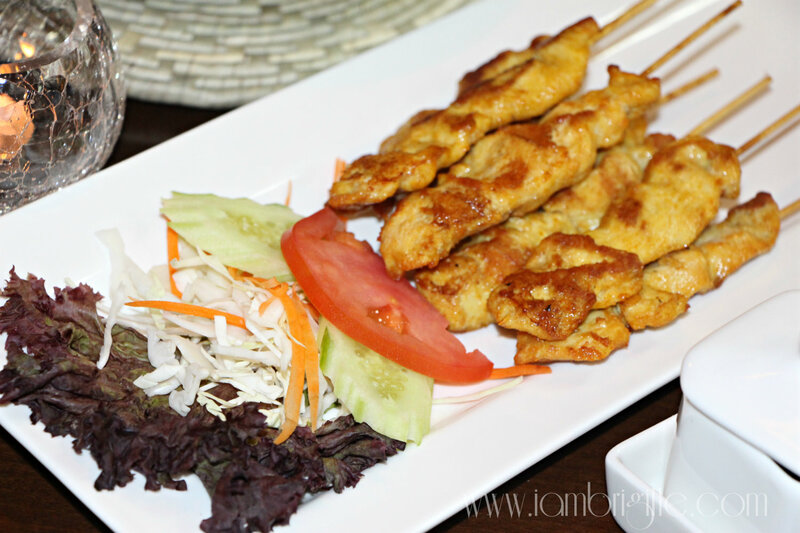 I find it bland even when I dipped it in the honey plum sauce. On the contrary, the husband did like it! I've always find my husband to be hard to please when it comes to food so if he likes this one, then it really must be good. And so does that mean I'm weird? LoL! We ordered two: Chicken and Seafood. 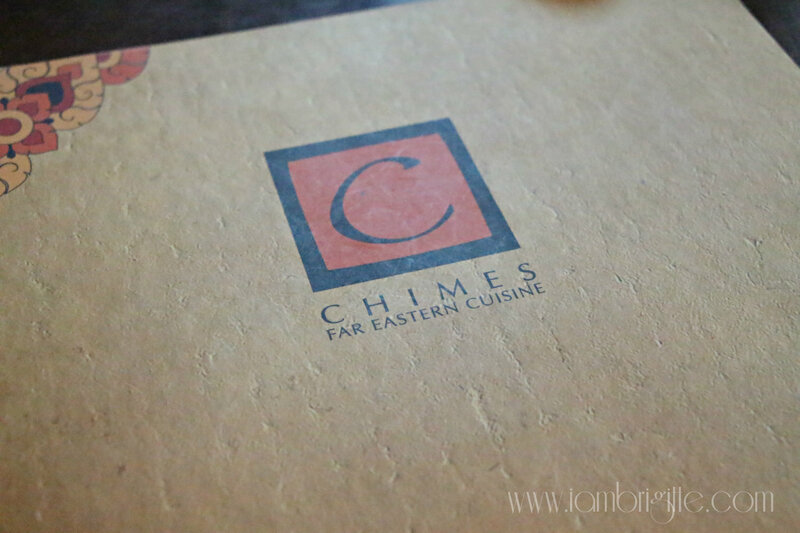 I can say that Chimes' siew mai is the best I've tried! 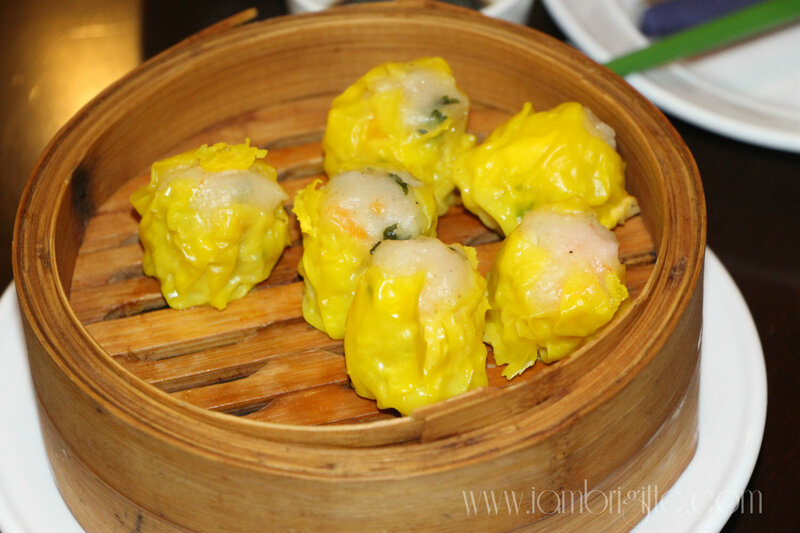 It was my first time to try Chicken skew mai (or siomai) but it definitely didn't disappoint. It's so full of flavor, I didn't even bother dipping it in its sauce. 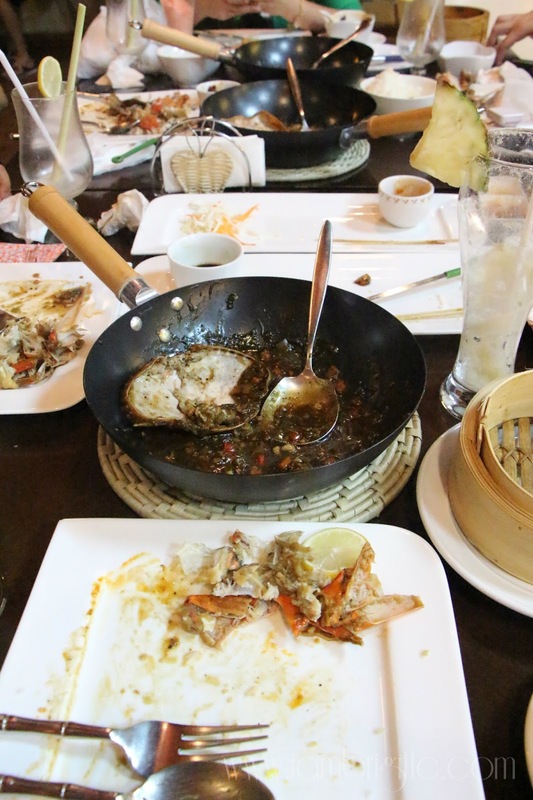 Among these three dishes, my vote goes to the Singapore Chilli (though I hoped it came with more spice in it) while the others preferred the Malaysian Butter Crab. 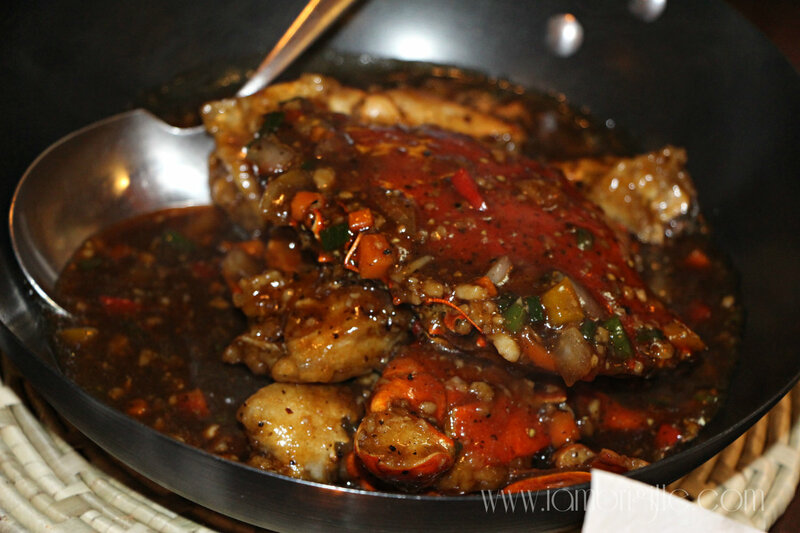 I find the Pepper Crab too salty for my liking, but it's still good. The crab meat was soft and though we were given nut crackers (or crab crackers) to use, we didn't use it because even the claws are easy to crack with our bare hands. The sauces are so good you won't even mind having just that with rice. Eating crabs can be such a mess that's why I prefer having such dishes at home where I wouldn't have to care even if I'd look like I haven't eaten for days once I start getting my hands dirty. Aggh, I can totally imagine feasting on these crabs while at the comfort of my home. At Chimes, no need to worry about getting your clothes messed up because each one will be handed with a plastic apron. I'm not sure if there's a wash area but they do have wet wipes available. 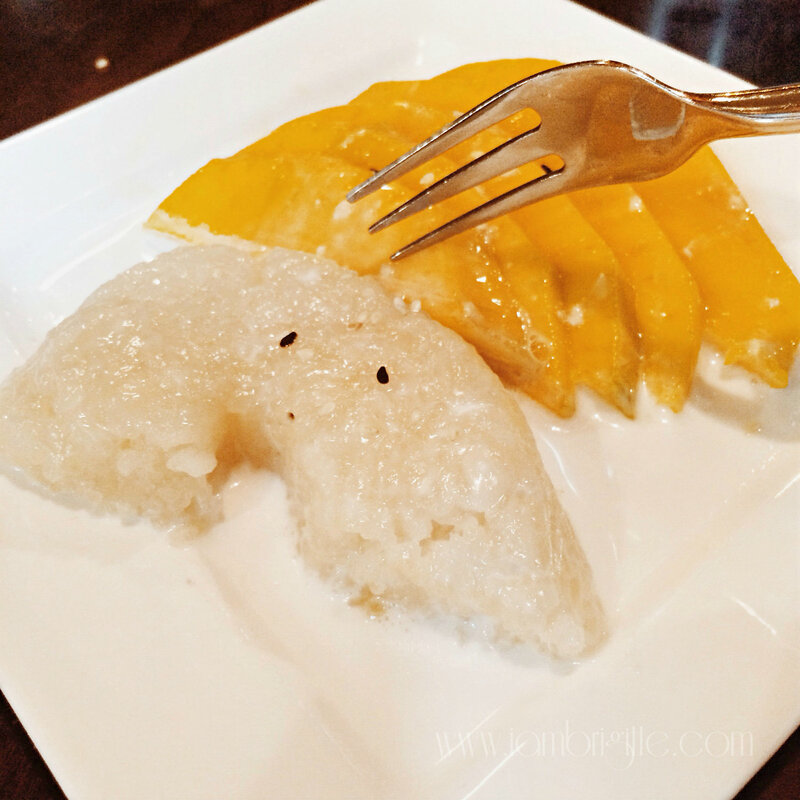 For dessert, we had this Sticky Rice Pudding which we Pinoys call Suman at Mangga back home. 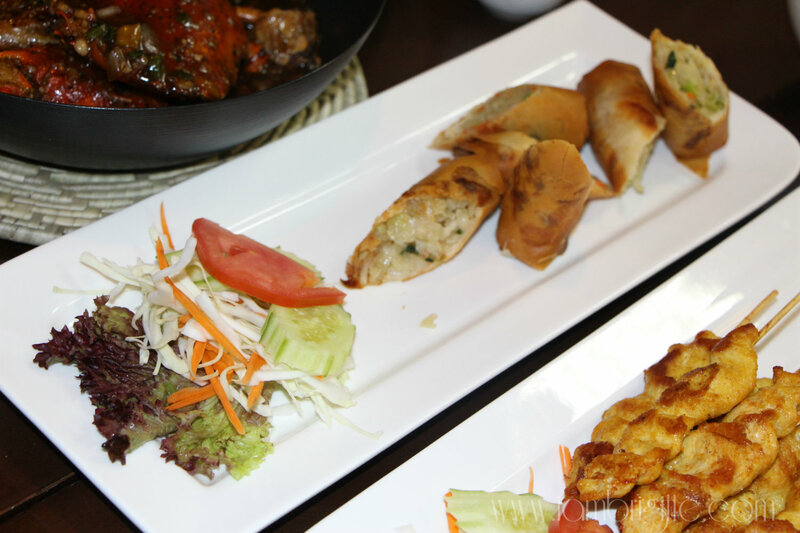 It's so yummy (sorry, I only got two words to describe great food: yummy and delicious. Hahaha!) I had to get some from my husband's plate after I finished mine. It was definitely a great way to end an amazing dining experience. I know people tend to worry about restaurants with an open kitchen. Who wants to have people guessing at what you had for your meal any way? I was expecting to smell like food after our dinner but nope, I didn't. Maybe they have an excellent exhaust system? 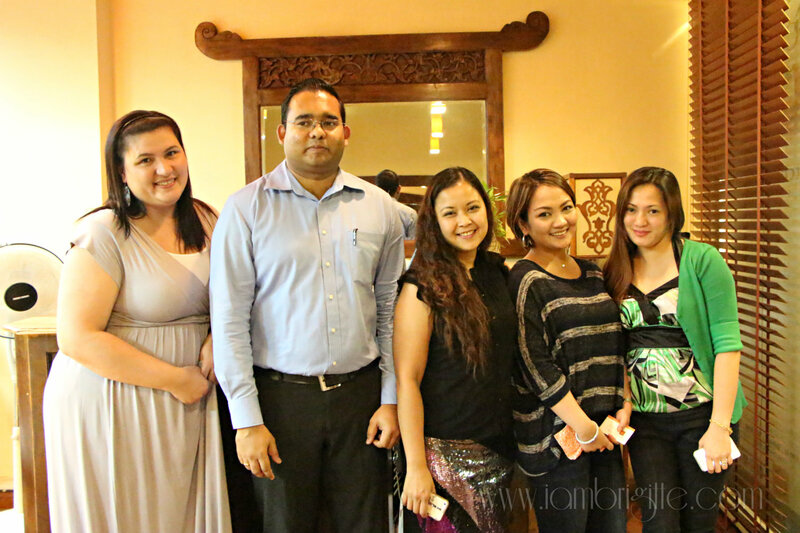 The staff (who are mostly Pinoys) and their manager, Jenaka, have been so accommodating. They take time to check on us whether we still need anything or to ask if everything is being perfect. Well, they have an amazing customer service and great food so yes, everything was perfect! 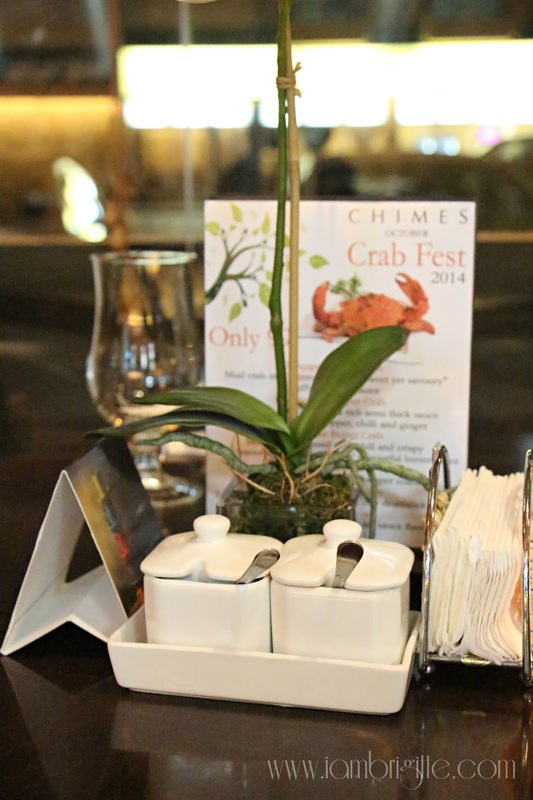 Chimes is located at Barsha, just a few minutes away from Mall of the Emirates and is at the ground floor of the Seven Sands Hotel. Their Crab Fest is until the end of this month, so you still have week to check it out for yourself. They also offer delivery and even accepts credit card for payment. How cool is that!? Thanks again Chimes for having us!